NJ Weekend Historical Happenings: 10/15/16 - 10/16/16 ~ The History Girl! The cost for the hayride is $10 for child under 12 and $15 for adults. Tickets are limited so advance purchase is HIGHLY RECOMMENDED. Tickets are for sale by calling 732-919-3500 - please have your credit card ready. You can also purchase tickets at www.allairevillage.org. 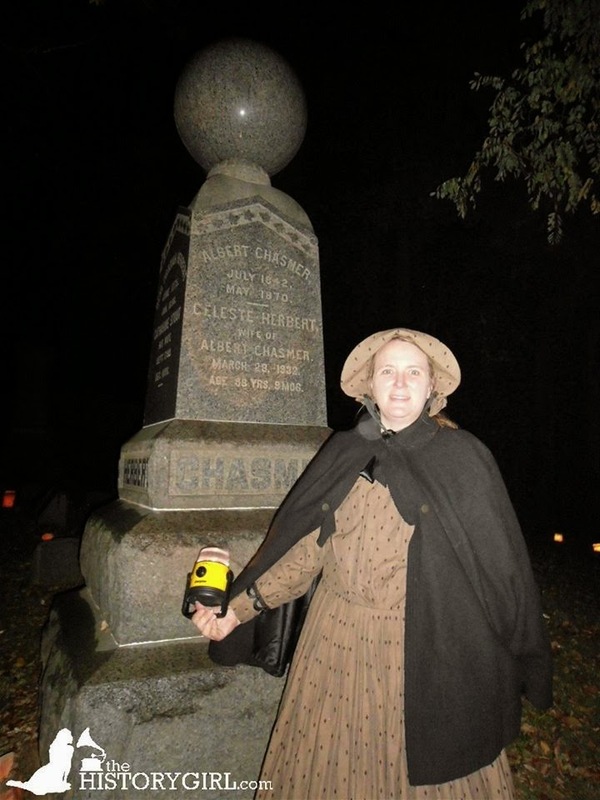 Are you brave enough to tour Dr. Physick's house after dark? Strange things have been seen, heard and done here in the evening hours. Let your guide open a portal to the past and see what discoveries await on Friday and Saturday from 7:00 - 9:00 pm. Admission is $15 for adults and $12 for children (ages 3-12). Tickets can be purchased at the Emlen Physick Estate, 1048 Washington Street, Cape May, NJ. Sponsored by the Mid-Atlantic Center for the Arts & Humanities (MAC). For more information and to reserve tickets, call 609-884-5404 or 800-275-4278 or visit www.capemaymac.org. Join us for a talk about the fire at the West Orange complex on that tragic night in December of 1914. How did it start and how much of the complex was destroyed. See historic photos of before and after the fire and find out Thomas Edison's reaction to the situation. The program is included with regular admission. Tickets must be purchased at the Thomas Edison National Historical Park Laboratory Complex Visitor Center at 211 Main Street, West Orange, NJ. 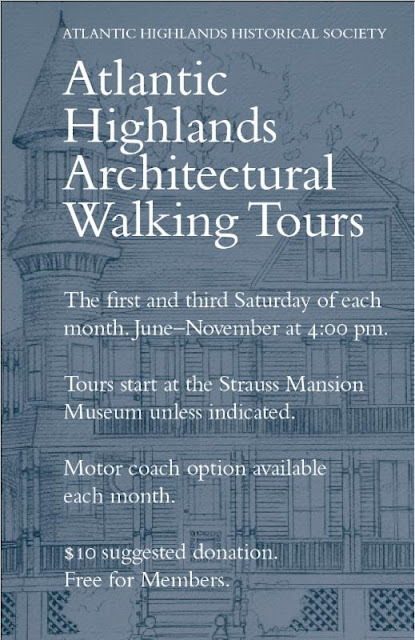 Admission is $10.00, and includes the Glenmont Estate and the Laboratory Complex. Children under age 16 are free. For more information, call 973-736-0550 x11 or visit www.nps.gov/edis. Join Lambert Castle on Saturday between 2:00 pm and 6:00 pm on the North Lawn of Lambert Castle, as the Passaic County Historical Society ushers in the Autumn season with history, food and fun fall activities. Children can participate in fall crafts and games, learn about local historic sites, drill with some Revolutionary war soldiers and much more. The day concludes at 5:30 pm as we read a version of Washington Irving’s classic story and sing some Halloween songs. You might even have a chance to meet the Headless Horseman in person! Bring your own blankets or lawn chairs. Recommended for children age 3-12 years. Free admission, donations requested. No rain date. On Saturday from 10:30 am - 6:00 pm, explore the historic Vail family home at Historic Speedwell with a costumed interpreter. Discover the nooks and crannies of a 19th century home and experience a realistic depiction of daily life. Admission: $5/adult, $4/senior (65+), $3/child (ages 4 -16). FREE for children under age 4 and Friends members, with a current membership card. Historic Speedwell is located 333 Speedwell Avenue, Morristown, NJ. For more information, call 973-285-6550 or visit www.morrisparks.net. Following a portion of the trail George Washington took from Trenton to the Princeton Battlefield, this tour includes stops at the Stony Brook Meeting House and cemetery. The month of October is filled with talk of myths, legends, and strange events. Such tales can be found everywhere in the state of New Jersey and even in Morristown. Join us for a campfire program on Saturday at 5:30 pm to investigate some of these tales and discover if they are pure myth or if there is some truth to these stories. Please dress for the weather and feel free to bring chairs or blankets to sit on around the campfire. In case of rain, the program will be held in the Jockey Hollow Visitor Center. This free program begins at 5:30 pm at the Wick House, within Morristown National Historical Park, 580 Jockey Hollow Road (approximate), Morristown, NJ. Cost: Free. For more information, call 973-543-4030 or visit www.nps.gov/morr. The Ford Mansion in Morristown recently underwent a paranormal research study by Gordon Ward, a well-respected investigator of ghosts and hauntings as well as an author on the topic. This program, in collaboration with the Morris County Tourism Bureau, will include new photos, audio recordings, developing theories, and information collected from his study of the Ford Mansion. After the study's results are presented, program participants may tour the Ford Mansion with park rangers and spend the day at the park. The program begins at 10:00 am in the Washington's Headquarters Museum, 30 Washington Place, Morristown, NJ. Cost is $20 per person and includes free park admission for the day. Free parking is available in two lots adjacent to the park and also along Washington Place. To reserve your spot, please call the Morris County Tourism Bureau at 973-631-5151 (open Monday through Friday from 9:00 am - 4:00 pm). Tour tickets are available online at www.mphda.org at $35 (members - $30) and at Mountain Train Station on the day of the tour at $40 (members - $35). For more information, visit www.mphda.org. During the tours, visitors will get a chance to meet the farmers and horses who work the 130-acre “living history” farm. Guides will explain how fields are readied for planting winter crops such as wheat and rye. This tour features a century of beachfront development, from Victorian cottages of the 1870s through the most up-to-date of today's housing. It includes some of the most magnificent structures ever erected in Cape May. Offered Saturday at 11:45 am. Tour lasts about 45 minutes and admission is $12 for adults and $8 for children (ages 3-12). Tickets can be purchased at the Emlen Physick Estate, 1048 Washington Street, Cape May, NJ or at the Washington Street Mall Info Booth. Sponsored by the Mid-Atlantic Center for the Arts & Humanities (MAC). For more information and to reserve tickets, call 609-884-5404 or 800-275-4278 or visit www.capemaymac.org. Step into the 19th century where mourning rituals mixed superstition with necessity. Experience the unexpected on this 30-minute guided tour through the 1879 Emlen Physick Estate, appropriate for all ages on Saturday from 1:00 pm - 4:00 pm. Admission is $12 for adults and $8 for children (ages 3-12). 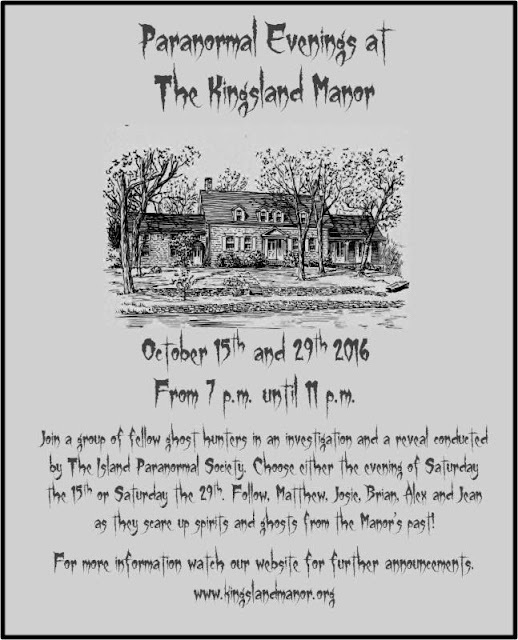 Tickets can be purchased at the Emlen Physick Estate, 1048 Washington Street, Cape May, NJ. Sponsored by the Mid-Atlantic Center for the Arts & Humanities (MAC). For more information and to reserve tickets, call 609-884-5404 or 800-275-4278 or visit www.capemaymac.org. On Saturday, learn about the Pinelands at the Tuckerton Historical Society. This lively presentation by Joel Mott includes sights and sounds while taking the audience on an insightful walk in the woods familiarizing them with the Pinelands. The talk will focus on the importance of water to the area while highlighting the cultural, historic, and natural resources. The goal of this program is to raise awareness, appreciation and further stewardship of the Pinelands by revealing this unique but fragile treasure. This program will be held from 2:00 - 4:00 pm at the Giffordtown Schoolhouse Museum, 35 Leitz Blvd., Little Egg Harbor, NJ. For more information, call 609-294-1547 or visit www.tuckertonhistoricalsociety.org. 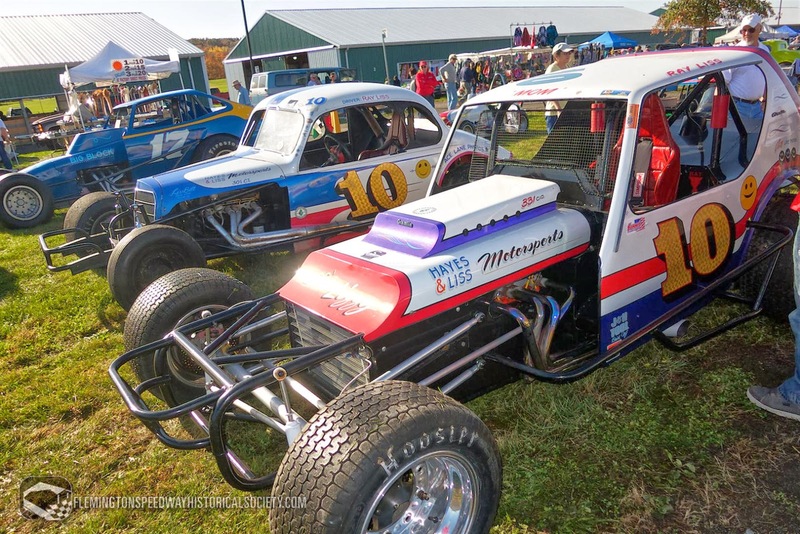 The Flemington Speedway Historical Society's 6th Annual Car Show takes place on Saturday from 9:00 am - 3:00 pm at the Hunterdon County Fairgrounds, Lambertville, NJ, located on Route 179 near its junction with Route 202. More than 700 automobiles were displayed last year. All types of vehicles are being actively sought by the event organizers. Antique, custom, hot rod, and new cars, vintage and modern race cars, small and large trucks, motorcycles, emergency response equipment, military vehicles, tractors and farm equipment - all are welcome. An accompanying flea market and swap meet has grown in parallel with the car show. For those wishing to sell or swap their rides, the designated Car Corral is $20 per vehicle. Bradshaw Awards of Flemington has produced fifteen People’s Choice and five Lentini Auto Salvage Recognition awards which will be presented in a drive-through awards ceremony at 1:40 pm. Spectator Admission is $5.00 per person, with no additional fee for parking. 2016 Car Show apparel and Flemington Speedway souvenirs will be available for purchase at the FSHS display and information center. No alcohol or pets are permitted. For more information, visit www.flemingtonspeedwayhistoricalsociety.com. Deathways of 18th-century America differed from region to region and culture to culture. Come visit the Indian King Tavern Museum on Saturday to learn more about how death and its associated rituals became a cross cultural encounter. The museum open house will take place from 1:00 - 4:00 pm. This event is sponsored by the Friends of the Indian King Tavern and is free to the public. The Indian King Tavern Museum is located at 233 Kings Highway, Haddonfield, NJ. For more information, visit www.indiankingfriends.org. On Saturday from 1:00 - 3:00 pm, the Meadowlands Museum will be hosting the annual Scarecrow Day, an event that is plenty of fun for families, scout troops, or kids at heart. 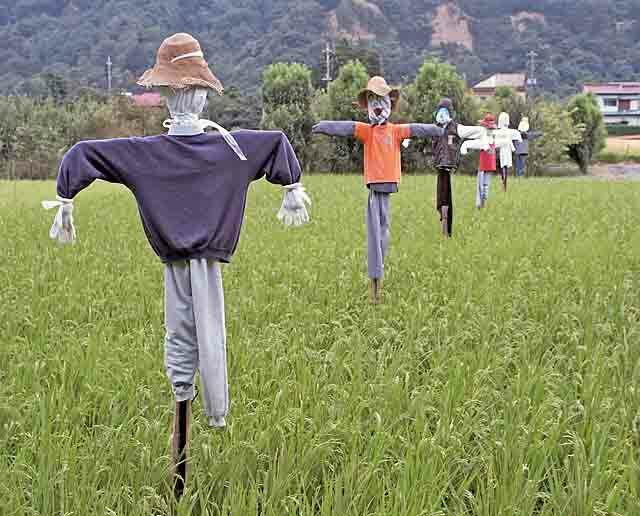 Participants will make scarecrows using a combination of hay, old clothes, and imagination! We provide all the materials needed: hay, clothes, scarecrow posts, but guests are encouraged to bring items to make their scarecrow as unique as possible, like tiaras, hats, or even a team t-shirt. 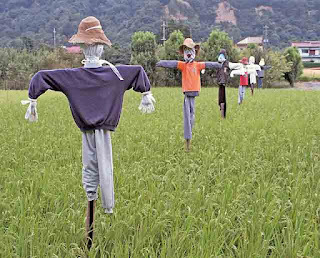 Scarecrows will be first come, first serve, unless otherwise reserved ahead of time. There will be additional activities such as pumpkin painting and a scavenger hunt. Admission to the event is $20 per scarecrow, and we recommend no more than 6 people working on each scarecrow. Light refreshments will be available. The museum is open to the public during the event, and admission is free to see the exhibits. In the case of inclement weather, Scarecrow Day will be held on the next Saturday, October 24, at the same time. The decision will be made by 11:00 am, and will be posted to the website and Meadowlands Museum Facebook page. There are a limited number of spots available. Advance registration is strongly recommended. The Meadowlands Museum is located at 91 Crane Avenue in Rutherford, NJ near the intersection of routes 3 and 17. For more information, call 201-935-1175 or visit www.meadowlandsmuseum.com. Experience the engineering and artistry of timber frame construction along with the power and joy of cooperative e ffort as we work together to assemble a small structure. Many hands make light work; there are jobs for the small, the tall, and those in-between. Come ready to listen, learn, and appreciate the work of our fore fathers at Historic Walnford. The program begins at 2:30 pm. Free parking and free admission. It's the spookiest time of the year at the village! Celebrate all things Halloween and autumn at the 24th Annual Pumpkin Festival. 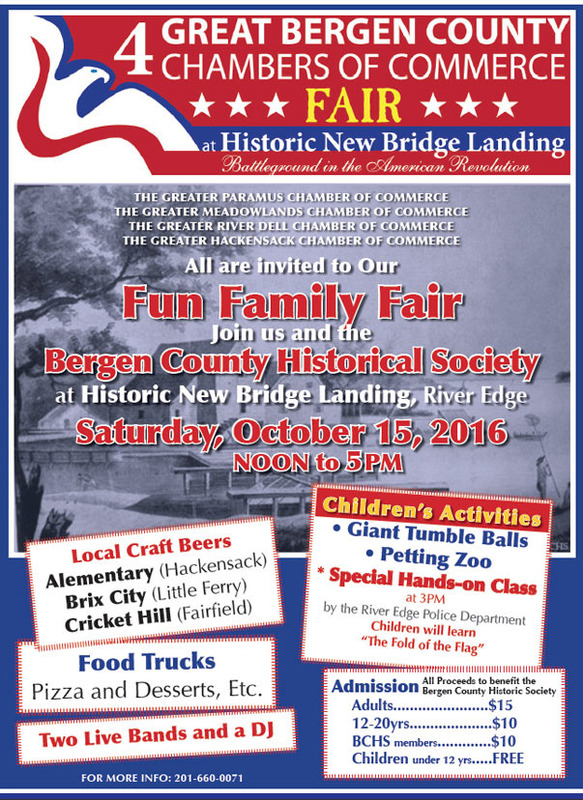 This fun, free event will take place on the grounds of Historic Cold Spring Village on Saturday from 10:00 am - 4:00 pm (Rain date: Sunday, October 16) and is presented by the Lower Township Rotary Club. Admission is free; guests are encouraged to donate non-perishable goods to the 'Share the Harvest' Food Drive. Families can enjoy pumpkin painting and games throughout the day. A variety of crafters will sell their wares along the Village’s shell-paved lanes. Vendors will be selling hot dogs, funnel cake, and other snacks. Visit a haunted house at the Village Barn and hop on a fall hayride through the farm. Don't miss the Children's Halloween Parade at 11:00 am. Please call the Lower Township Recreation Department at 609-886-7880 for parade registration information. The Matawan Historical Society in conjunction with Rose Hill Cemetery is sponsoring its sixth annual guided walking tour of Rose Hill Cemetery in Matawan! Local Historian Al Savolaine will lead the tours, sharing fascinating stories about those buried in the cemetery, including the victims of the Great Matawan fire of 1901, an 1896 gruesome murder, the 1916 shark attack in Matawan, as well as some unusual ghost sightings at the cemetery, considered to be one of the most haunted sites in New Jersey. Tours will be held on Saturday and Sunday at 2:00 pm. Tours are approximately two hours long. Tickets are $10 per adult and $5 for children over 12 years of age, with proceeds benefiting the Burrowes Mansion in Matawan and the beautification of Rose Hill Cemetery. Rose Hill Cemetery is located on Ravine Drive in Matawan. Parking will be available at the cemetery and at the school lot across the street. Tickets can be purchased the day of the tour or by contacting savolaine@hotmail.com. The Cranford Historical Society's Crane-Phillips House Museum will once again participate in Union County's annual program, "Four Centuries in a Weekend." This American Civil War veteran's cottage will be open Saturday, October 15th from 10:00 am - 5:00 pm and Sunday, October 16th from 12:00 noon - 5:00 pm. Volunteer docents will be on hand to speak with visitors and provide a guided tour of the museum. This year's theme is "Cranford Chronicle: Our Town's History in Fabric and Newspapers". The Cranford Chronicle closed its doors in 2015. The Cranford Historical Society will use original newspaper articles dating back to 1890 to illustrate different eras in the Township history through displays set up at the museum. 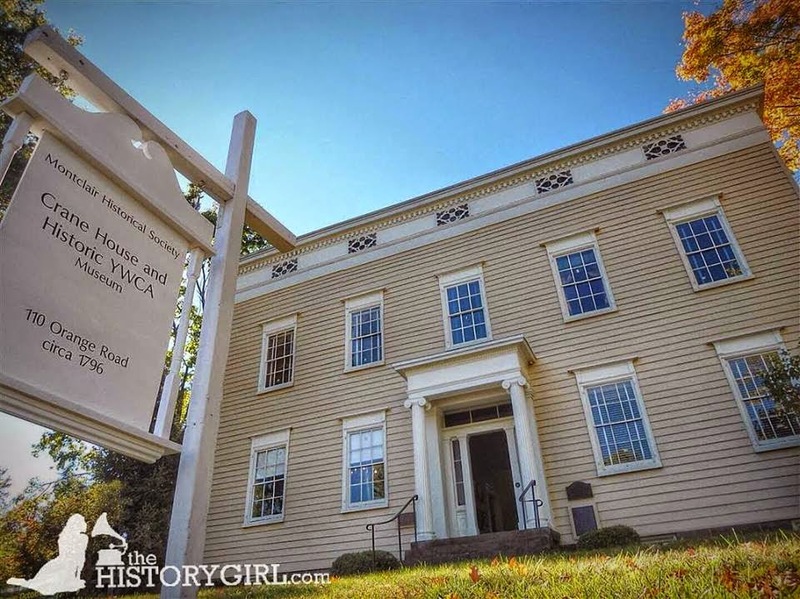 The Crane-Phillips House Museum is available as our own local history museum through the hard work of volunteers and members of the Cranford Historical Society. It has received generous support from the Cranford Historical Society, Union County Freeholders, Cranford citizens and the Township of Cranford. 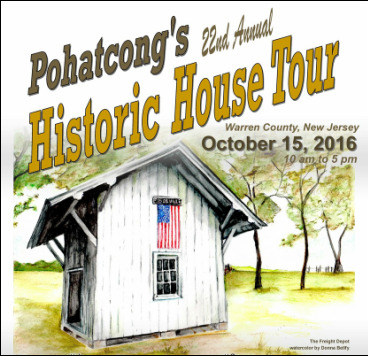 Various materials about the weekend-long self-guided tour are available from the Office of Union County Cultural and Heritage Affairs, materials will also be at many of the sites. A booklet features photos and information about each site with a map showing the location. For further information about Union County's Four Centuries in a Weekend program, please call Union County Office of Cultural and Heritage Affairs at 908-558-2550. The Crane-Phillips House Museum located at 124 North Union Avenue in Cranford is open most Sundays from September thru May from 2:00 - 4:00pm or by appointment. Admission is free. Founded in 1927, the Cranford Historical Society's mission is to preserve and perpetuate the history of Cranford. For more information, call 908-276-0082 or visit www.cranfordhistoricalsociety.com. Experience Union County's rich heritage! The Union County Board of Chosen Freeholders, staff, and volunteers at 28 house museums, historic sites, and history organizations join together to invite the public to come and discover nearly 350 years of history during the annual "Four Centuries in a Weekend, A Journey Through Union County's History." The two-day, free event is scheduled for 10:00 am - 5:00 pm on Saturday and Sunday, 12:00 noon - 5:00 pm. "Four Centuries in a Weekend" began in 1994 when 16 historic sites and the County of Union organized a weekend event to tell the story of how Elizabethtown of 1664 evolved into the 21 municipalities of today's Union County. A visit to Hillside will bring you to the Woodruff House/Eaton Store, built in 1735; and the historic Evergreen Cemetery, a virtual museum of funerary art. In Rahway you'll be welcome at the Merchants and Drovers Tavern, a restored early 19th century hotel, and you can tour the Union County Performing Arts Center, a beautifully restored classic Vaudeville venue. When you stop at the Dr. William Robinson Plantation in Clark, you'll discover a post-medieval English-style house where Dr. Robinson practiced healing with plants and herbs. 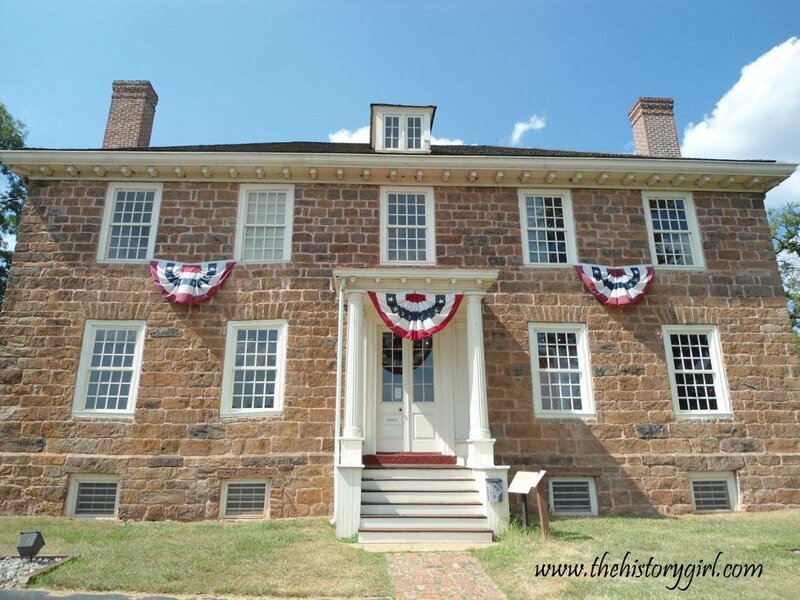 At the Abraham Clark House, home to a signer of the Declaration of Independence, you'll learn about Early American life and the history of Roselle. In the Roselle Park Museum, housed in the Charles E. Stone Store, you'll be standing in the first electrically-lighted store in the world. Three authentic 18th century farmhouses are open for touring: the Miller-Cory House in Westfield; the Salt Box Museum in New Providence; and the Nathaniel Drake House in Plainfield, which was used as George Washington's headquarters during the Revolutionary War. 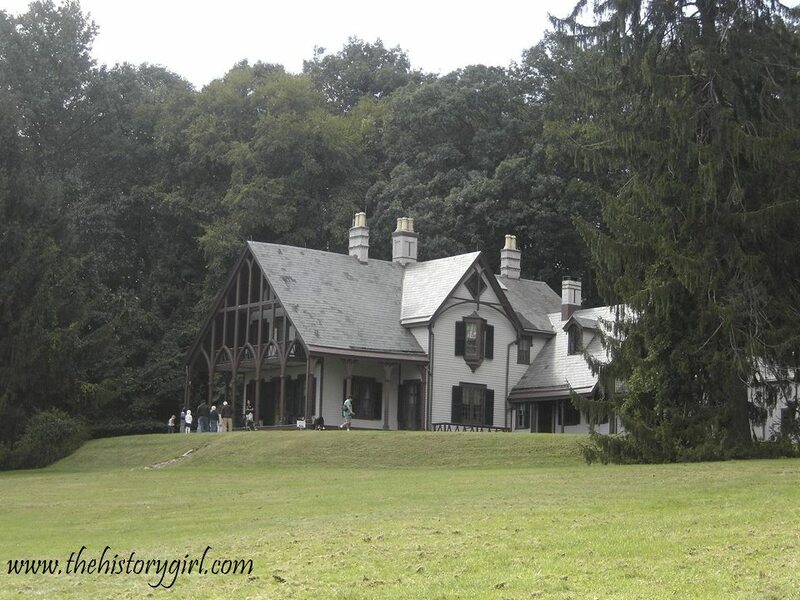 Venturing into the Watchung Mountains, you'll find the Deacon Andrew Hetfield House in Mountainside, home to the Hetfield family for 186 years; stroll through the Deserted Village of Feltville-Glenside Park in the Watchung Reservation, an 1845 town created by businessman David Felt; visit the Littell-Lord Farmstead in Berkeley Heights, a reminder of the County's agricultural past; and explore Summit, with its Twin Maples, a stately neoclassical mansion; the Carter House, the city's oldest house, built in the 1740s; and the Summit Playhouse, a Richardsonian Romanesque structure with a 120-seat auditorium. Children can earn a Time Traveler's Certificate and a Four Centuries Patch by visiting and obtaining a Time Traveler Passport at any of the sites, having it stamped and returning the completed form to the Union County Office of Cultural and Heritage Affairs. For free copies of the Four Centuries in a Weekend tour booklet, map and further information visit http://ucnj.org/parks-recreation/cultural-heritage-affairs/historic-sites-map/. New Jersey Lighthouses, museums and life saving stations will host a "Lighthouse Challenge of New Jersey" weekend on Saturday and Sunday. The public is invited (and challenged) to visit all participating lighthouses over the weekend and help raise funds for continued lighthouse preservation. These majestic beacons have played an important role in New Jersey's history, guarding mariners and protecting our coasts for three centuries. Lighthouses serve as a reminder of American ingenuity while honoring the values of safety and heroism. Visit the lighthouses and museums on the Challenge for an opportunity to step back in time and learn more about our state and nation's maritime history. Begin the Challenge at any of the eleven participating lighthouses, one museum, and two life-saving stations and purchase a souvenir ($2), which will be proof of your visit at each lighthouse and commemorate your participation in the event. Night climbs will be offered at Absecon, Cape May, and Tucker's Island Light at Tuckerton Seaport. **Due to renovations and restorations, both East Point Lighthouse and Tinicum will be closed for climbing, but are still on the tour and will be staffed for souvenirs and booklet stamping. ** During the weekend, children 11 and under climb free with an adult. Hours of operation for every participating lighthouse, addresses, and more information can be found at www.lighthousechallengenj.org. On Saturday and Sunday evening, costumed reenactors in historic dress will portray former residents that lived and worked in the East Brunswick and Old Bridge areas, with displays and narrative about their life in the Historic Village of Old Bridge. Over 500 Luminaries (candle bags) outline the walking path for the tour. Light refreshments will be available at the end of the tours. The tours will take place at Chestnut Hill Cemetery on Old Bridge Turnpike in East Brunswick, NJ between 5:30 and 8:30 pm. Admission fees for this special event are $10.00 for adults and $4.00 for children under 12 years of age. Free parking. It is recommended that you bring your own flashlight. Since this event takes place in a hilly cemetery, it is not recommended for persons with walking problems or for strollers. This is a family-friendly event and children are encouraged. 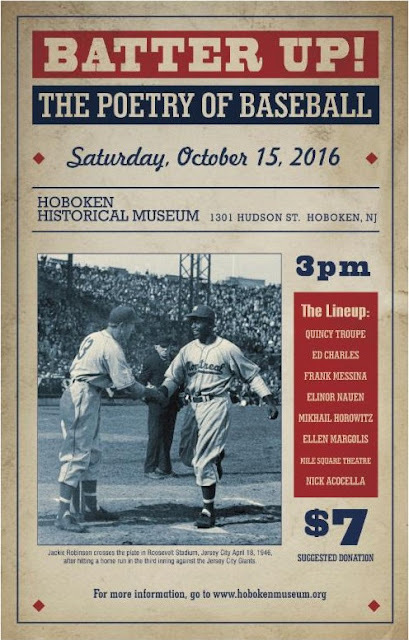 For more information, call 732-257-1508 or visit www.ebmuseum.com. The Lambertville Historical Society proudly announces its 34th Autumn House Tour on Sunday. Seven homes will be featured this year as well as several additional sites. They range from a home that was a display of entrepreneurial success to a secluded cottage to handsome structures that were the mainstay of 19th-century Lambertville. The additional sites include a grand 1890s stone church as well a museum of fire memorabilia among others. The tour is self-guided and this year will be held on Sunday from 11:00 am to 5:00 pm. Tickets are $25 in advance ($30 on the day of the tour, $25 for LHS members) and may be purchased online at www.LambertvilleHistoricalSociety.org. Tickets may also be bought at the Marshall House, 60 Bridge Street, NJ (weekends 1:00 - 4:00 pm) or directly from some local merchants-Blue Raccoon, City Market, Homestead Farm Market, Lambertville Trading Company, River Queen Artisans Gallery, Phillips' Fine Wines in Stockton and Farley's Bookshop in New Hope. Free parking and shuttle bus service will be available on the day of the tour. The bus will continuously loop from the Lambertville-New Hope Rescue Squad parking lot behind the headquarters at 70 Alexander Avenue (off of Phillip-Barber Road) on to City Hall every 15 minutes from 10:30 am - 5:15 pm. Visitors can also park in residential areas or at parking meters that are in effect on Sunday from 1:00 - 9:00 pm. For more information and driving directions, call 609-397-0770 or visit www.LambertvilleHistoricalSociety.org or e-mail info@LambertvilleHistoricalSociety.org. Enjoy an interpretive horse-drawn wagon ride at Fosterfields Living History Farm on Saturday while discovering the importance of sustainable farming. Learn about the methods, equipment, crops, and enterprises of Charles Foster’s farm in the early 1900s. Wagon ride from 12:15 - 2:00 pm and included in regular admission. Take a step back in time and visit a household in mourning in the late 1800s. The rooms of the historic 1760 Turner House at 117 VanSyckles Road in Hampton, NJ will be set up as they would have been for a Victorian mourning. Costumed docents will be on hand to greet visitors and guide them on tours of the rooms. Although topics like grave robbing, vampire panics, and fear of being buried alive may seem more suited to Halloween and horror movies than historic themed tours, these, and other Victorian beliefs and superstitions regarding death, are based in history. The tours will explore these and other topics using artifacts from the collection at Turner House as well as antique items on loan from other sources and reproductions. These items include a collection of vintage mourning jewelry from The Vintage Shoppe in downtown Clinton, and a "toe pincher" coffin from long time local resident Doug Martin, a retired funeral director. Requested donation is $10 per person. Tours start at 2:00, 2:30, 3:00, and 3:30 pm. Light refreshments will be served. Reservations are required so please contact Union Forge Heritage Association at ufhaevents@gmail.com for more information and to make reservations. For more information, visit www.unionforgeheritage.org. ‘Married in white, you chose right.’ Did all brides marry in white? Step back in time to Wedding of the Century on Sunday from 1:00 - 5:00 pm at Historic Speedwell. Enjoy 100 years of historic wedding fashions, and enjoy a tour of the Historic Vail House exhibiting wedding customs of the 19th century. Learn how weddings evolved throughout the Victorian period to the familiar customs we enjoy today. Tours are at 1:00, 2:00, 3:00, and 4:00 pm. Admission: $5/adult, $4/senior (65+), $3/child (ages 4 -16). FREE for children under age 4 and Friends members, with a current membership card. Historic Speedwell is located 333 Speedwell Avenue, Morristown, NJ. For more information, call 973-285-6550 or visit www.morrisparks.net. The Whippany River Watershed Action Committee (WRWAC), in collaboration with the Morris County Historical Society (MCHS), is sponsoring the 1st Annual Whippany River History Hike at Acorn Hall on Sunday from 12:30 pm - 4:00 pm. Registration for this free public event will take place from 12:30 - 1:00 pm at Acorn Hall, 68 Lafayette Avenue (GPS), Morristown, with the hike starting, rain or shine, at 1:00 pm. The hike will highlight and bring awareness to the cultural and natural history of this significant and treasured local waterway. On Sunday from 12:00 noon - 5:00 pm, the Walpack Historical Society and the National Park Service will present Van Campen Day. This annual event will take place at the Van Campen Inn on the unpaved section of Old Mine Road in Walpack Township, within the Delaware Water Gap National Recreation Area in Sussex County, NJ. Festivities will include a parade led by The Colonial Musketeers Fife and Drum Corps of Hackettstown from the Inn to the marker for the grave of local hero, John Rosenkrans, colonel of the Sussex County Militia during the fight for independence. Gerald DeGroat of the Sons of the American Revolution will speak at the marker on the life of Colonel Rosenkrans. From there, Frank Hennion will lead a hike to the Shapanack and Clark cemeteries and the slave burial ground, all three of which are maintained by the Walpack Historical Society. 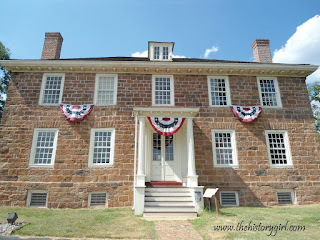 The NJ Frontier Guard, reenactors, will be camped at the Inn. Colonial era crafts will be demonstrated. Tours of the Inn, which boast some of the finest woodwork and hardware of its period in Sussex County (circa 1750) will be conducted by costumed guides. In addition, colonial era artifacts from the Morris Museum will be displayed. Light refreshments will be served. 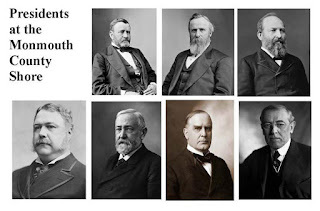 For more information, visit www.walpackhistory.org. 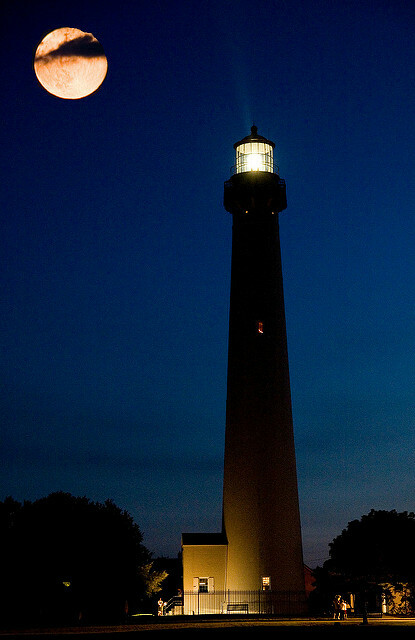 Let the light of the full moon guide you up the 199 stairs to the starry top, overlooking historic Cape May. Since it opened to the public in 1988, some 2.5 million people have climbed the 199 steps to the top of the Cape May Lighthouse; but a smaller, select group can say they have experienced the grand vista of the evening sky from atop this majestic beacon at nighttime. 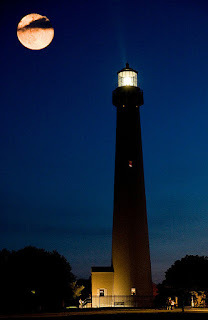 Climb the 199 steps of the Cape May Lighthouse to the top where you'll be able to see the full moon in all its glory on clear nights and enjoy a spectacular moonlit view. This is the final Lighthouse Full Moon Climb of 2016. The Cape May Lighthouse is located in Cape May Point State Park, Lower Township. Climbs will be held between 8:00 pm and 10:00 pm. Admission: $8 for adults, $5 for children (ages 3-12). Sponsored by the Mid-Atlantic Center for the Arts & Humanities (MAC). For more information, call 609-884-5404 or 800-275-4278 or visit www.capemaymac.org. The Trustees of the Morristown Green have been celebrating the 200th anniversary of their April 1816 founding all year long with special events. The concluding event will take place on the Morristown Green on Sunday from 2:00 pm until 3:00 pm. The anniversary celebration will take place rain or shine, with the Presbyterian Church at 57 East Park Place as the rain location. In addition to music, a special exhibit about the Morristown Green, and a ceremonial tree-planting, the event will feature the return of special guests: General George Washington, the Marquis de Lafayette and Alexander Hamilton. They will happily take questions and pose for photographs with attendees. The event will appeal to history buffs of all ages, and especially to fans of the musical "Hamilton." The trustees purchased the 2.62-acre Green from the Presbyterian Church for the sum of $1,600.00 in 1816. 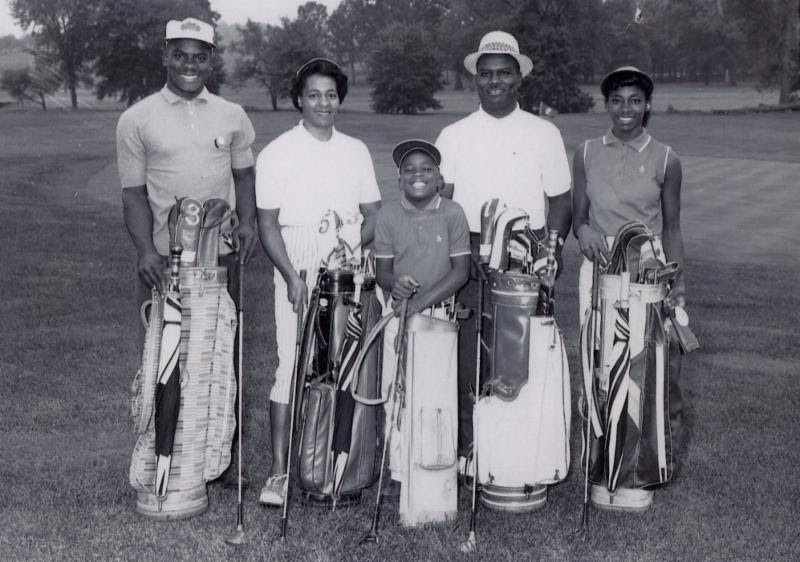 Since then the Trustees have been responsible for the renovations and maintenance of the Green, Morristown's most important open space and the site of many notable events in the town's history. The Morristown Green is located at North Park Place and W Park Place, Morristown, NJ. The Batsto Citizens Committee, Inc. will hold its Annual Country Living Fair at Historic Batsto Village in Wharton State Forest on Sunday from 10:00 am - 4:00 pm. There will be no admission and no parking fee. Visitors will have an opportunity to view and purchase a variety of Country, Colonial and Victorian crafts. They will also be able to meet talented crafters demonstrating their artistry in a wide assortment of materials. A blacksmith will be showing his craft in the Batsto Blacksmith Shop. In addition to Pre-World War II cars, old-time steam engines, antiques, and pony rides will help make this an event of special interest to people of all ages. The Renegade Cloggers will perform throughout the day and raffle tickets for a handmade quilt will be available. Local service organizations will be on hand to make available a plentiful variety of foods and drinks. It is hoped that Smokey Bear will make an appearance along with the NJ Forest Fire Service truck. A unique opportunity will present itself as animal rescue groups will bring several breeds of dogs to the event, hoping to find them a loving home. Various 4-H groups will be available to display their animals and discuss their experiences as a member of a 4-H club. In addition to pony rides, children will be able to enjoy the petting farm animals of Barnyard Friends from Dorothy, NJ. Discover what Flemington was like during the Charles Lindbergh baby kidnapping trial with historian and East Amwell Historical Society President Jim Davidson at the Hunterdon Land Trust Farmers’ Market on Sunday at 11:00 am. Bruno Hauptmann was extradited from New York to stand trial for the murder and kidnapping of the Lindbergh baby, arriving in Flemington on October 19, 1934. During the five months he was here, the town became the epicenter of the world. Davidson’s talk, When the Circus Came to Town: Flemington During the Lindbergh Trial, will include many rarely seen photographs that aim to convey the craziness that occurred in the town and courtroom. Davidson has been fascinated with the Lindbergh trial his entire life. Growing up in Flemington, Davidson met many of the figures associated with the kidnapping and trial including William Allen, who found the Lindbergh baby; Hauptmann's attorney, Lloyd Fisher; several jurors and other people associated with the trial. Early on he began collecting Lindbergh memorabilia and now has one of the largest national collections. Davidson studied history at Muhlenberg College and later Lehigh University for graduate work, and taught for several years at Hunterdon Central Regional High School. He has co-authored Lindbergh Kidnapping and Trial, the first-ever pictorial history of the crime with Mark Falzini, archivist of the New Jersey State Police Museum. Cost is $10 with proceeds benefiting Hunterdon Land Trust and the East Amwell Historical Society. The talk will be held in the Dvoor Farm’s wagon house. Reservations are encouraged by calling 908-237-4582 or emailing judy@hunterdonlandtrust.org. The Land Trust’s Farmers’ Market is open at the Dvoor Farm, 111 Mine Street in Raritan Township from 9:00 am - 1:00 pm and features more than 20 local farmers and vendors offering produce, meat, cheese, bread, honey, coffee, food trucks offering flatbread pizzas and crepes using farm-fresh ingredients and more. For more information, visit www.hunterdonlandtrust.org. As part of its 2016 National Park Service Centennial celebrations, the North Jersey American Revolution Round Table (NJARRT) and the National Park Service welcomes author Mark E. Lender to the Washington's Headquarters Museum for an illustrated talk on his book, Fatal Sunday: George Washington, the Monmouth Campaign, and the Politics of Battle. Historians have long considered the Battle of Monmouth one of the most complicated engagements of the American Revolution. Monmouth was critical to the success of the Revolution, as authors Mark E. Lender and Garry W. Stone argue in this new book. The talk will be at 2:00 pm in the Washington's Headquarters Museum auditorium, within Morristown National Historical Park, and admission to the program is free. Book sales and signing will follow the program. The Washington's Headquarters Museum is located at 30 Washington Place, Morristown, NJ. For more information, call 973-539-2016 ext. 210 or visit www.nps.gov/morr.